is an educational resource and portal link to the paper world. 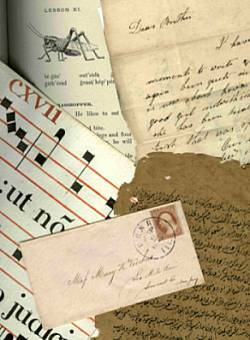 Provides a wide array of information on many aspects of paper history. An open database in the Internet for collecting data for paper characterisation and documentation. from the the Crossing Over Consortium, Inc.
from the Wisconsin Paper Council includes information about paper and the history of paper and papermaking. A leading organization devoted solely to the conservation of paper and related materials. - Provides information on iron gall ink, its importance in art/history, and the major threat to the world's cultural heritage caused by its self-destructive properties. Houses one of the worlds greatest collections of books and manuscripts. Watermarks in Incunabula printed in the Low Countries (WILC) a searchable database of watermark images and information. Woollard & Henry Ltd. was founded in 1873 in Scotland and is the only remaining Dandy Roll/Cylinder Mould manufacturer in the UK. The company manufactures and supplies rolls, moulds, watermarks and all ancillary equipment for running these, to paper mills all over the world. an educational resource and portal link to the paper world. Copyright © 2001 - 2007, 2009 by Theodore Bernhardt. All Rights Reserved.